Nice and small and will fit in my gadget draw. I have tried this with zucchini and will use it on other vegetables. Good start to my diet. Description claims it will Julienne carrots which was my reason for buying it. Does not julienne. Cost for returning would be $7.00 so guess I am stuck with it. Great item for those who would like to eat sliced veggies - as pasta substitute and save calories. Healthy as well. I like the idea of spiral veggies, can't wait to try it. Found several recipes that call for this tool. I'm giving one to my sister too. Want to try for veggies. New way to fix veggies. looks interesting and fun to use. To create healthy dishes that look appealing. Curiosity. Want to try to eat more healthy. 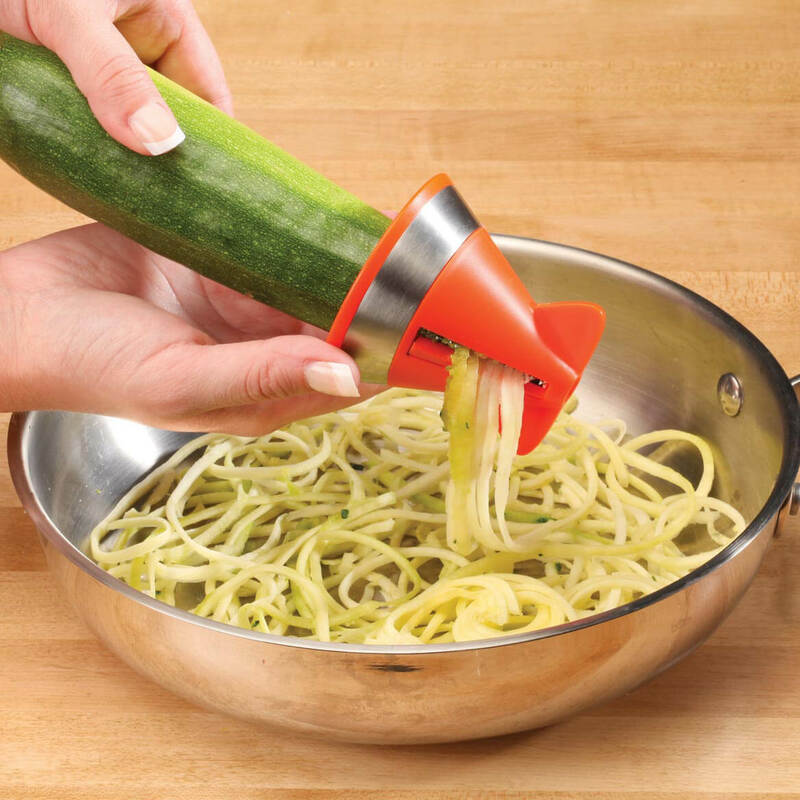 Looks like an interesting way to chop zuchinni. Hard to find such a simple item to make the veggie spirals. Other items I found are more like a machine and more expensive! I like the idea of serving veggies in place of pasta. It's new, and I'll to try it. 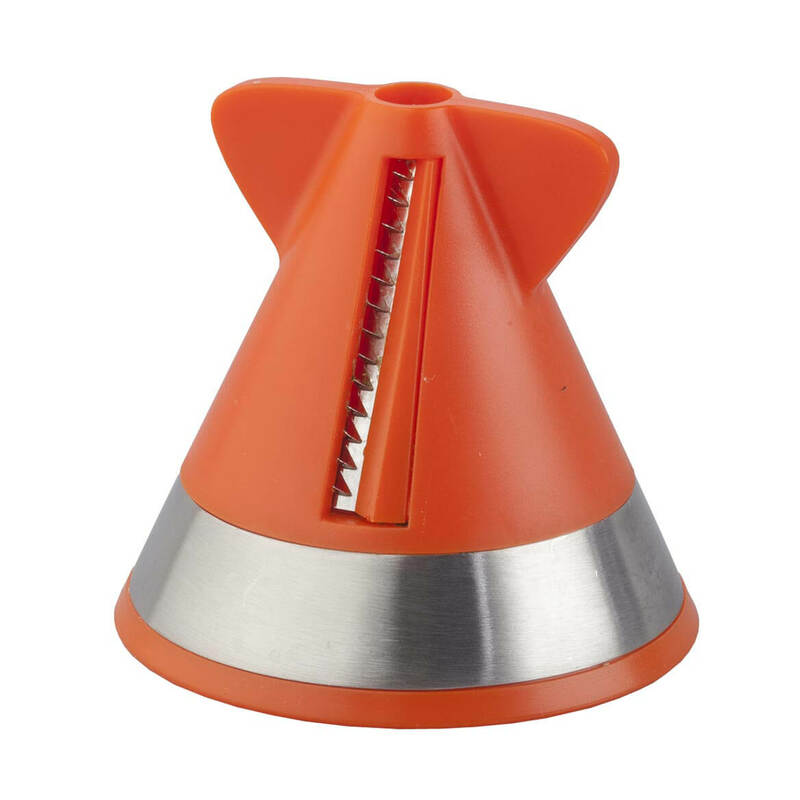 This slicer save time for cooking. Wanted to try it instead of buying the ready made in the supermarket, to save money. My daughter had one and I liked hers. Trying to cut down on carbs. I like to try different items in the kitchen for cooking. Have King adjustable bed and these keep separate sheets in order when raising and lowering bed. It is another way to use my zucchini for tomato or pesto pasta dishes instead of pasta! I want to try pasta made of vegetables.